I really love these direct-read digital watches. 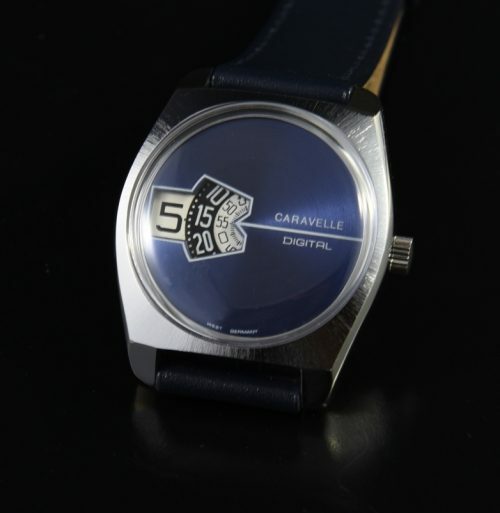 This 70’s variation is made by Caravelle and has that 70’s blue dial many of us remember seeing back in the day. 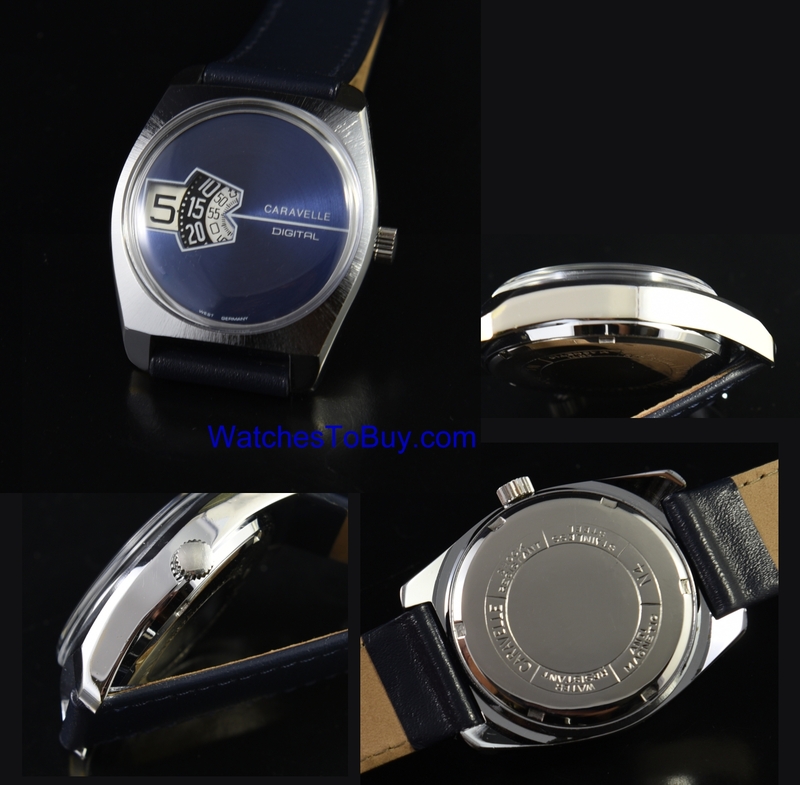 The clean chrome plated case with steel back measures 35.5mm. The manual winding Caravelle movement was cleaned and accurate. These watches are becoming very collectable these days.